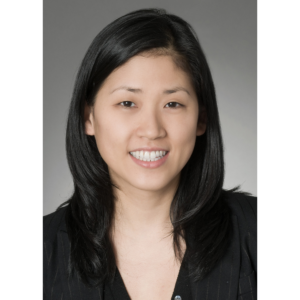 Jean Lee is Vice President and Assistant General Counsel at JPMorgan Chase & Co. Prior to joining JP Morgan Chase, Ms. Lee was an associate with Milberg LLP. At Milberg, she practiced in the areas of securities class action and False Claims Act litigation. Ms. Lee also served as the law clerk to the Honorable John J. Hughes, United States Magistrate Judge (retired), in the District of New Jersey. Ms. Lee has served on AABANY’s Board of Directors since 2010 and as President in 2012. She is also a member of the New York City Bar’s Diversity and Inclusion Champion Award Selection Committee and is a Director of the Board of Minority Corporate Counsel Association. Ms. Lee was recognized as a Catalyst: Change Agent | Law 2014 by the Council of Urban Professionals in October 2014 and as a Trailblazer by the Korean American Lawyers Association of Greater New York in June 2015. She graduated from New York University with a B.A. degree in Politics and Psychology and a M.S.W. in Social Work. Ms. Lee received her J.D. degree from Rutgers University School of Law. During law school, Ms. Lee was a Senior Editor of the Rutgers Law Record.